A portion of the article below, written by Chief Kevin Gordon, was inadvertently left out of our most recent newsletter. We apologize for the oversight. North Carolina State Firemen’s Association (NCSFA) roster renewals for calendar year 2013 will soon be mailed to all fire departments in North Carolina. 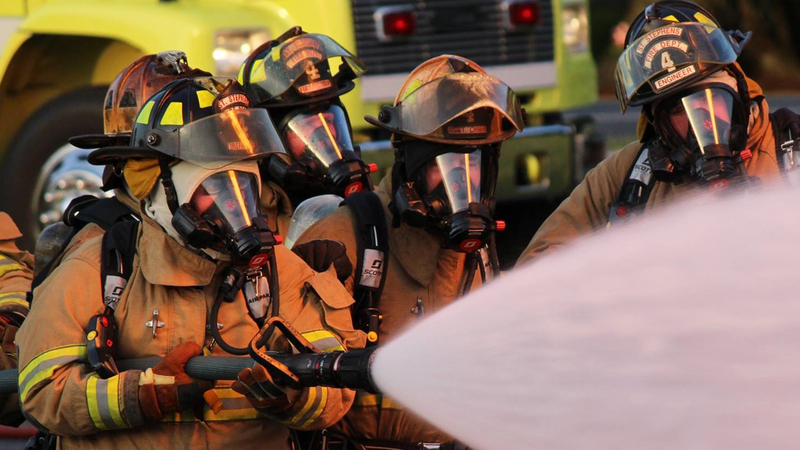 North Carolina General Statute 58-86-25 requires that all certified fire departments submit a complete roster of its eligible firefighters annually. The NCSFA certified roster also serves as the certification roster for the State Treasurer’s Office. This eliminates the need to send a certification roster to the state. Fire departments must also certify the training hours for their membership. Fire Chiefs are statutorily required to provide NCSFA with a certified roster and the “Annual Certification of Firefighters” document. Certification is also required for those participating in the pension fund to receive a year of credit. The certification year runs from January 1, 2012 – December 31, 2012 for this roster renewal. We strongly encourage all NC Fire Departments to join NCSFA, but membership with NCSFA is not a statuary requirement. Membership dues are $20.00 per person listed on your roster, including retirees if you choose to keep them on your roster. Your benefits with the NCSFA will cease at midnight on January 31, 2013 if the renewals have not been completed. Benefits will be reinstated when membership dues arrive in our office. Non-members of NCSFA are simply certifying that your members have the required 36 hours of meetings and drills so that they are covered under the state line-of-duty death benefit. Finally, non-members of NCSFA will not be covered by any benefits offered by the NCSFA. holds drills and meetings not less than four hours monthly (of which members are re­quired to attend at least 36 hours per year). Members’ contributions to the Pension Fund, the in­vestment earnings on total contributions, and an annual appropriation by the State from its Gen­eral Fund pay the cost of providing your Pension Fund benefits. The States’ contributions are approximately $151 per member annually plus any additional accrued liability. Our share of the cost is $10 monthly. Members normally must pay into the Pension Fund for 20 years, or a maximum of $2,400, to receive a monthly benefit at retirement. March 30, 2013 will be the deadline for departments to submit their turn-around documents and accompanying payments to ensure that eligible members receive proper credit in the Pension Fund for the year of 2012. Please make sure your department is up-to-date with submission of the turn-around document and applicable payment. According to the latest actuarial report, there was a member contribution deficit of $2,524,845. As of June 30, 2011, there were 39,734 members in the Pension Fund. That means there are over 21,000 members who are delinquent if the member contribution deficit is over 2.5 million. If you are unsure of your department’s or squad’s status, please contact the Pension Fund Office. Their contact information is (877) 508-9110 or ncfireandrescue@nctreasurer.com. While teaching Chief 101, I routinely get questions regarding refunds from the Pension Fund. There was a small change in the refund process several years ago. If you (the member) are no longer eligible or choose not to par­ticipate in the Fund for any reason other than retirement or death, you can receive a refund of your contributions. However, if you have less than five years of contributing service, a refund of contributions will be made directly to your de­partment or squad provided they made the con­tributions on your behalf and have specified that these proceeds are to be refunded to the depart­ment or squad. If you (the member) have five or more years of contribut­ing service and you withdraw from the Pension Fund, you will receive both your contributions and contributions paid by others on your behalf. No interest will be paid on the amount of the re­fund. It is important to remember, that in order to become a member of the Pension Fund, you must complete an enrollment application (Form 350) through your department or squad and mail it with your first payment (contributions are $10 per month) to the Pension Fund Office. Your enrollment date in the Fund will be effective in the month in which both the application and contribution are received by the Fund. Roster time, reported from NCSFA or NCAREMS, prior to joining the Pension Fund will not show up on the turn-around document. Members are also encouraged to establish an ORBIT account. ORBIT stands for “Online Retirement Benefits through Integrated Technology”. This system was created by the North Carolina Department of State Treasurer to allow members convenient access to their retirement account in­formation 24 hours a day, seven days a week. This secure site enables you to view your personal in­formation, account information, and other relevant details specific to your retirement system account. Members of the Pension Fund can check and verify their roster credit (from NCSFA certified roster) and contributions credit (member’s contributions made by the member or department). To access ORBIT, go to their website at www. myncretirement.com, click on the ORBIT icon (under the “Retirement&Savings” tab) and follow the instructions to log into your personal ORBIT account. Register for ORBIT via the Register button on the login page. Follow the prompts for registration. Once you have registered, you are able to gain access to ORBIT using the User ID and Pass­word that you created. The North Carolina General Assembly established a fund in 1907 known as the State Relief Fund for Firemen. The Fireman’s Relief Fund is administered through the NC Department of Insurance via the Office of State Fire Marshal and is funded by a percentage of the tax paid on property coverage pursuant to G.S. 105-228.5. Submit Firefighter’s Relief Fund financial statement to the NC State Firemen’s Association and due by October 31 of each year. This statement must now be submitted electronically through the NCSFA Records System (iMAS). Two Trustees elected by the fire department. These two Trustees shall be either residents of the fire district or active or retired members of the fire department. Two positions appointed by the City or County Commissioners. These two Trustees shall be residents of the fire district. One position appointed by the Insurance Commissioner. This Trustee shall be either a resident of the fire district or an active or retired member of the fire department. One of the five (5) Fire Relief Fund Board Members shall be elected as the Treasurer. The North Carolina Department of Insurance provides a blanket honesty bond to cover all local Firefighter’s Relief Fund Treasurer’s. Submit the Report of Fire Condition form to the Department of Insurance. The Department of Insurance annually compiles the above qualifications for each rated fire district to verify which fire departments are eligible to receive their Firefighter’s Relief Fund tax. Fire departments that meet all requirements are eligible to receive the tax collected within their rated fire district. The Firefighter’s Relief Fund checks are mailed to the City/County Clerk-Finance Officer with a memo instructing them to forward to the fire department. If a fire department fails to meet all of the requirements, their tax money is transferred to the NCSFA to be held in the State Firefighter’s Relief Fund account. Routinely, close to 150 Fire Departments failed to meet the requirement to receive their Firefighter’s Relief Fund check. Please contact any Board Member or NC OSFM (Diane Whitman) if you have questions or need assistance in securing Firefighter’s Relief Fund funds for your fire district. The next meeting of the Western North Carolina Association of Fire Fighters (WNCAFF) will be held January 16th, 2013 at the Kings Mountain Fire Department. The remaining 2013 meeting schedule is as follows: April 17, McDowell County; July 17, Cullowhee Fire Department; and October 16, Skyland Fire Department. Please join me in congratulating Chief Eric Wiseman (Parkway Fire and Rescue) in his recent election as 2nd Vice President to the WNCAFF. The 2013 Officers are: President William Hunt, 1st Vice President David Hughes, 2nd Vice President Eric Wiseman, Secretary Anthony Penland, Treasurer Dean Coward, and Past President Scott Burnette. The Regional Directors to the WNCAFF are Curt Deaton (Mooresville Fire and Rescue) serving the Mountain Region, Kevin Mundy (Barnardsville Fire Department) serving the Highlands Region, and Lee Carswell (Lovelady Fire and Rescue) serving the Foothills Region. In closing, I would like to wish you and your family a Merry Christmas and a prosperous New Year. Please do not hesitate to contact any Executive Board Member (contact me either by e-mail at ksgordon@carolina.rr.com, kevin@ncsfa.com, or by phone at 704.995.3261) or NCSFA Staff if you have questions, comments, or concerns. Please be safe in all you do as you serve those who depend on you.